Speak to one of our insurance specialists. Standard or Modified, Classic or Kit, American or Japanese Car Insurance, whatever type of car you own we think it’s important that you get your insurance from people who understand the car and give the quote you need first time, every time. We work with some of the biggest car clubs in the country so we understand YOUR needs. Fantastic rates are also available on standard motor car insurance, please call for details. Modified your Van? Only using it for pleasure? Need Business use. We know how much your van means to you so let our specialist team quote you. It only takes a few minutes and we can cover just about all modifications, let us do the hard work for you and rest easy that your van is properly insured. We offer Limited Mileage and Owners Club Discounts on vans as well. Standard Commercial Vehicle Insurance is also available see tab below. Modifying your motorbike can be never ending, Always looking for the extra BHP or that bespoke part to make your bike rise above the rest. Need to Insure supply modified bike insurance from people who understand how important it is that you have the right cover in place, making sure your bike is fully protected in the event of a claim. Standard Motorbike Insurance also available see tab below. The campervan market is huge so whether you own a Volkswagen Split Screen, Bay Window, VW Samba or Modern Motorhome we can cover them all, agreed values, modification cover, breakdown cover. Whatever you need we should have a policy to cover it. Please call for a quote. Standard Car Insurance can be a minefield, comparing quotes, excesses and finding out what's included in the policy and what's not. We think it’s important that you speak to a human being to obtain your insurance making sure the right cover is in place for your needs. We know how much your vehicle means to your business so let our team quote you. It only takes a few minutes so you won't be wasting your day, let us do the hard work for you. We think it’s important that you get your motorbike insurance from people who understand how important it is that you have the right cover in place. Please click the link for more details. Static Caravan or Touring Caravan we have a panel of insurers to cover both. Please call for a quote. Your home is your castle, so it makes sense to have the right cover in place, we can offer buildings, contents or a combined policy. 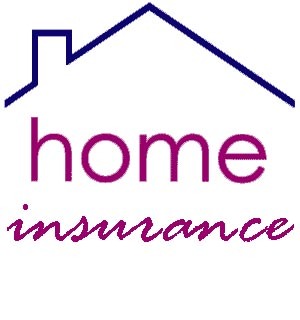 We have a range of insurance policies designed specificaly for landlords, please call us to discuss your requirements. Do you have a commercial property that needs insuring? We have some fantastic low rate deals available for you. Please call for a quote. Modified, Classic, Import, Track, High Performance or Kit Car Insurance. One phone call to us and we will find you a great deal and make sure you have the right cover in place. Track day insurance is one of our specialities, Competitive prices and discounts to all club members, single day and annual policies available. Please call us for a quotation. Insurance provided by the leading insurance companies. Don’t spend time comparing insurance on the internet, give us a call and we will do the work for you, we probably use the same insurers anyway. Temporary car insurance is a policy you can use to cover yourself on most types of cars and vans. A policy can be taken from 1 to 28 days.